TVS has launched the 2017 Apache RTR 160 and RTR 180 with updated BS-IV emission compliant engine. With this, the entire portfolio of the Hosur-based two-wheeler manufacturer is now BS-IV compliant. In terms of pricing, the RTR 160 comes at Rs. 75,089 (ex-showroom, New Delhi), while its bigger sibling is priced between Rs. 80,019 and Rs. 90,757 (ex-showroom, New Delhi) depending on non-ABS and ABS variant. Apart from the BS-IV compliant engines, the updated Apache motorcycles come equipped with Auto Headlamp On (AHO) and as well. In terms of styling the TVS Apache RTR 160 and Apache RTR 180 come with identical appearance as the previous model. No cosmetic changes have been applied to these models. Mechanically also, they arrive similar as the previous models. The RTR 160 is available in six different colour options, which are – Black, Grey, Red, Yellow, White and Matte Blue. 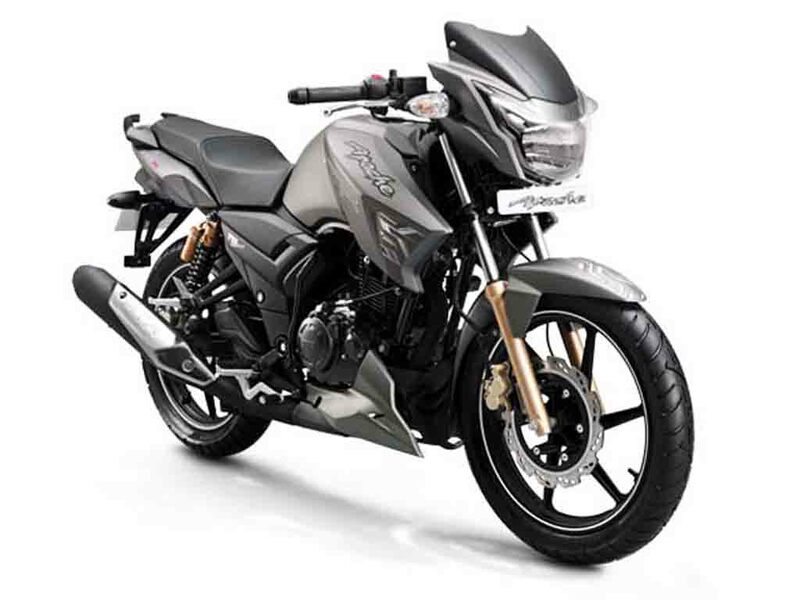 On the other hand, its bigger sibling, the Apache RTR 180 comes available in five different colour options, which are –Black, White, Matte Grey, Matte Blue and Matte Black. 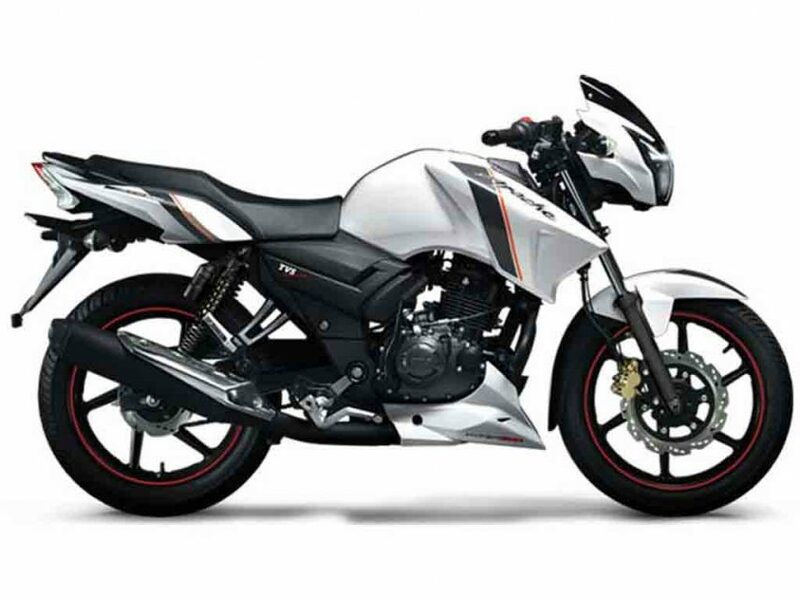 The TVS Apache RTR 160 is powered by a 159.7 cc single-cylinder, air-cooled engine paired with a 5-speed transmission. This engine is well capable of churning out 15.2 PS of peak power 8,500 rpm and 13.1 Nm of peak torque at 6,000 rpm. It can run at a top speed of 118 kmph and delivers 50 kmpl of fuel efficiency. 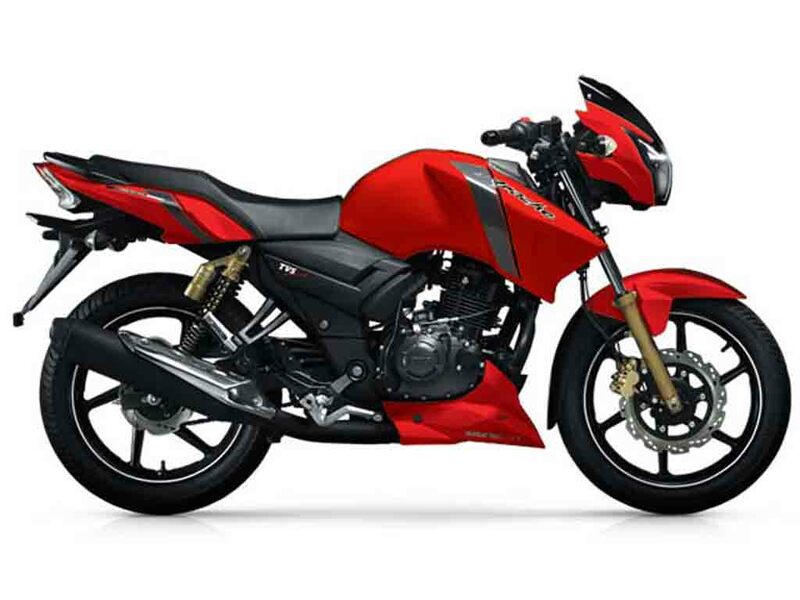 The TVS Apache RTR 180 draws power from a 177.4 cc single-cylinder, air-cooled engine mated to a 5-speed transmission. This engine kicks out 17.02 PS of peak power at 8,500 rpm and 15.5 Nm of peak torque at 6,500 rpm. This bike returns 46 kmpl of fuel efficiency, while the top speed of this model is 124 kmph. This bike is available in both non-ABS and ABS versions.